We have a simple, but pleasant and big campground at the EIAB for those who choose to camp for the Dutch Retreat. Our campground is not far from the main buildings, and there are toilet and shower blocks located nearby. For those of you who enjoy being in nature, the Waldbröl forest is just a few steps away. 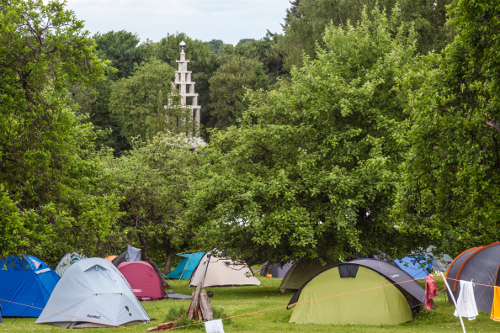 For € 380*, camping at the EIAB is both an attractive and affordable way to take part in the Dutch Retreat. * Please bring your own tent, camping foam pad, sleeping bag, pillow etc. and whatever other items that will keep you comfortable and warm at night. No camper vans or mobile homes of any size are allowed. All campers who come by car may park their cars at the next parking lot to the EIAB.